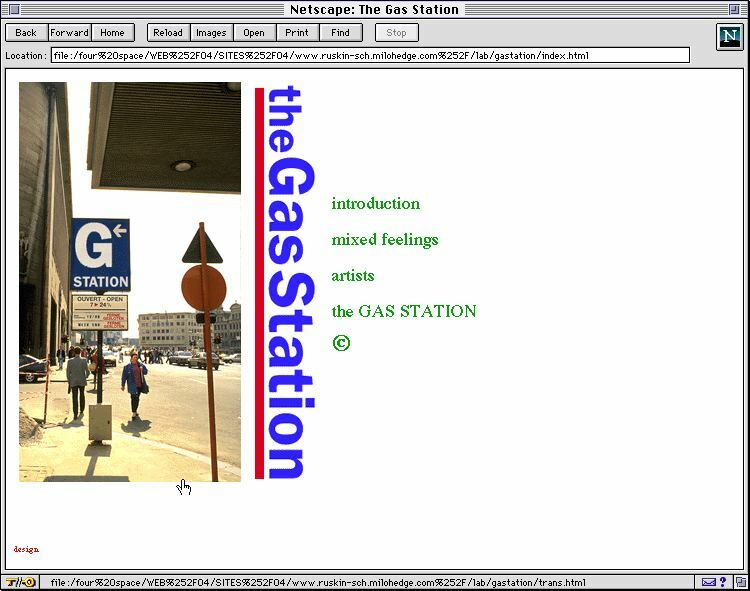 ... arising from a discussion about authorship and copyright with Paul Bonaventura, and, building on my observation about how Oxford College noticeboards were used for the exchange of information and services, Gas Station explored the idea of using the web as a sort of swap-shop of artists' ideas. The title came not from Hopper's lonely Gas Station on a forest road, but from the kind of city centre refuelling stop that sells just about everything you need. Artists were invited to donate ideas for artworks that they had devised but which, for whatever reason, they were never going to use. These ideas were placed (unattributed) on the website, freely available for anyone to take and adopt for their own practice. I have since seen the project replicated in other forms. Although the site is no longer officially active, you are still welcome to use any of the ideas. Let me know of any interesting outcomes through the contact link on my home page. 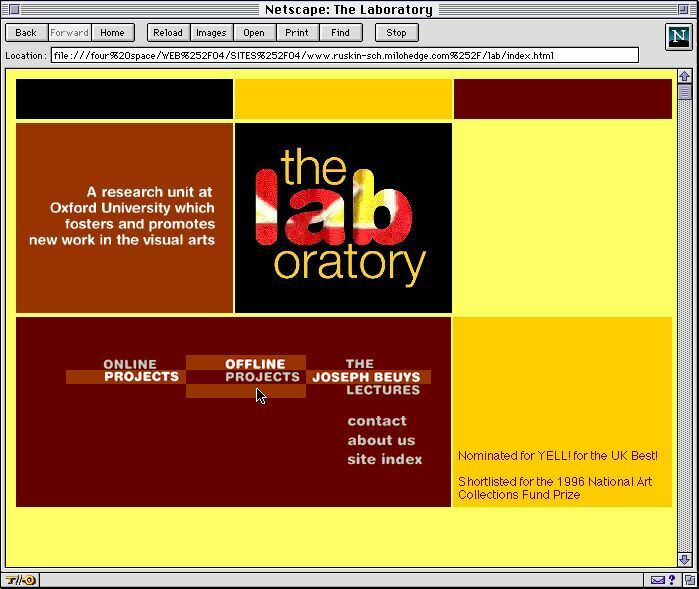 The original site was designed by Jake Tilson, who, as the artist-publisher of Atlas Magazine, had been very quick to grasp the potential of the web for collaboration amongst artists, writers and researchers.